1.1 We are committed to safeguarding the privacy of threelimepines.com and our guests. 1.2 This policy applies where we are acting as a data controller with respect to the personal data of threelimepines.com and our guests; in other words, where we determine the purposes and means of the processing of that personal data. 1.4 Our website incorporates privacy controls which affect how we will process your personal data. By using the privacy controls, you can specify whether you would like to receive direct marketing communications or not. 3.2 We may process data about your use of our website and services (“usage data“). The usage data may include your IP address, geographical location, browser type and version, operating system, referral source, length of visit, page views and website navigation paths, as well as information about the timing, frequency and pattern of your service use. The source of the usage data is JetPack. This usage data may be processed for the purposes of analyzing the use of the website and services. The legal basis for this processing is our legitimate interests, namely monitoring and improving our website and services. 3.3 We may process your account data (“account data”). The account data may include your name and email address.The source of the account data is you or your employer. The account data may be processed for the purposes of operating our website, providing our services, ensuring the security of our website and services, maintaining back-ups of our databases and communicating with you. The legal basis for this processing is our legitimate interests, namely the proper administration of our website and business. 3.5 We may process your personal data that we are provided in the course of the use of our services (“service data”). 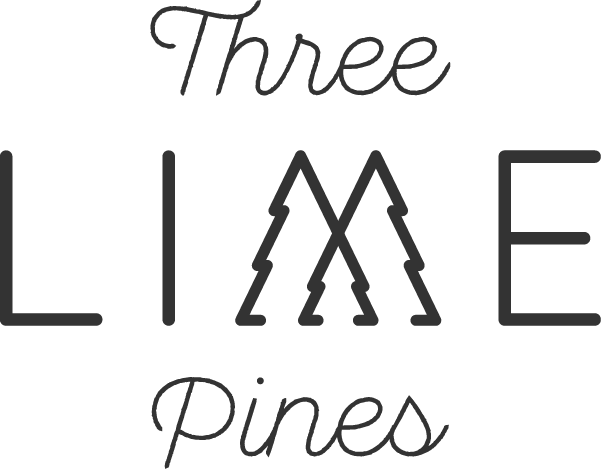 The service data may include producing blog content, freebies, and paid content that is is available through Three Lime Pines. The source of the service data is you or your employer. The service data may be processed for the purposes of operating our website, providing our services, ensuring the security of our website and services, maintaining back-ups of our databases and communicating with you. The legal basis for this processing is our legitimate interests, namely the proper administration of our website and business. 3.7 We may process information contained in any enquiry you submit to us regarding goods and/or services (“enquiry data“). The enquiry data may be processed for the purposes of offering, marketing and selling relevant goods and/or services to you. The legal basis for this processing is confirmation of your subscription to our continuing marketing and services. 3.8 We may process information relating to our customer relationships, including customer contact information (“customer relationship data”). The customer relationship data may include your name, your contact details, and information contained in communications between us and you. The source of the customer relationship data is you. The customer relationship data may be processed for the purposes of managing our relationships with customers, communicating with customers, keeping records of those communications and promoting our products and services to customers. The legal basis for this processing is our legitimate interests, namely the proper management of our customer relationships. 3.10 We may process information that you provide to us for the purpose of subscribing to our email notifications and/or newsletters (“notification data“). The notification data may be processed for the purposes of sending you the relevant notifications and/or newsletters. The legal basis for this processing is the performance of a contract between you and us and/or taking steps, at your request, to enter into such a contract. 3.12 We may process comment data. This data may include your name, email address, photo, and/or online alias.The source of this data is the comments feed at the end of each post. This data may be processed for post relevance, clicks to post, interaction with the content, and/or to respond to you. The legal basis for this processing is your consent based on your enunciative to leave a comment on the blog. 3.13 We may process any of your personal data identified in this policy where necessary for the establishment, exercise or defense of legal claims, whether in court proceedings or in an administrative or out-of-court procedure. The legal basis for this processing is our legitimate interests, namely the protection and assertion of our legal rights, your legal rights and the legal rights of others. 4.1 We may disclose your name and email to any member of our group of companies (this means our subsidiaries, our ultimate holding company and all its subsidiaries) insofar as reasonably necessary for the purposes, and on the legal bases, set out in this policy. We currently do not have partnering companies. 4.2 We may disclose your name and email to our insurers and/or professional advisers insofar as reasonably necessary for the purposes of obtaining or maintaining insurance coverage, managing risks, obtaining professional advice, or the establishment, exercise or defense of legal claims, whether in court proceedings or in an administrative or out-of-court procedure. 4.3 We may disclose your name and email to our suppliers or subcontractors. A URL will be created if we obtain suppliers or subcontractors in the future. 4.4 Financial transactions relating to our website and services may be handled by our payment services providers, Stripe. We will share transaction data with our payment services providers only to the extent necessary for the purposes of processing your payments, refunding such payments and dealing with complaints and queries relating to such payments and refunds. You can find information about the payment services providers’ privacy policies and practices at https://stripe.com/us/privacy. 5.4 We do have suppliers or subcontractors at this time. (a) Name, Email, and other personal data will be retained for a minimum period of 2 years following May 25th, 2018, and for a maximum period of 10 years following May 25th, 2018. (a) the period of retention of enquiry data will be determined based on the need of website adjustments based on analytics. 11.3 We do not use Google Adsense at this time. We manage e-mail lists through a list management system. Unsubscribing from one list managed by us will not necessarily remove you from all publication email lists. If you have questions or are experiencing problems unsubscribing, please contact us at hello@threelimepines.com. 13.1 This website is owned and operated by Jessica Hardin. 13.2 We are located in the United States, and our office is at Kirkland, WA. 13.3 Our principal place of business is at Kirkland, WA. 14.1 Our data protection officer’s contact details are: Jessica Hardin; hello@threelimepines.com.